Facing the reality of death is hard for any adult to handle, and for children, it's a difficult and confusing time too. What's the best way for parents to guide a child through grief? WASHINGTON — Facing the reality of death is hard for any adult to handle, and for children, it’s a difficult and confusing time too. What’s the best way for parents to guide a child through grief? Child and adolescent psychiatrist Steven Berkowitz says the best thing parents can do is to acknowledge, not ignore, their own emotions and the emotions of their child. “Parents need to recognize that if you’re feeling it, your child is feeling it,” says Berkowitz, director of the Penn Center for Youth and Family Trauma Response and Recovery at the University of Pennsylvania. And while Berkowitz says it’s important to be authentic with your feelings — yes, it’s OK to cry in front of your kids — he also says it’s equally important for parents to let their kids know they will get through their grief together, as a family. Canfield urges parents to take a deep breath and answer questions simply, and to walk the child through the process of what to expect. “Tell them Grandma passed away and next we are going to have a funeral, and here is what that is going to look like,” she says, adding that kids find comfort in knowing what’s next. Berkowitz proposes a similar approach. He advises against telling kids their loved one is in a better place, such as Heaven. “Children will think that’s a real place they should go to,” he says. Instead, he suggests a gently delivered, yet realistic explanation — even if that means telling the child they will not see their loved one again. After a death, parents may think children are back to normal once they resume playing, smiling and laughing. That is not always the case. Craig Pierce, psychologist and author of “Parenting Through Grief,” says the process of healing can take a while. 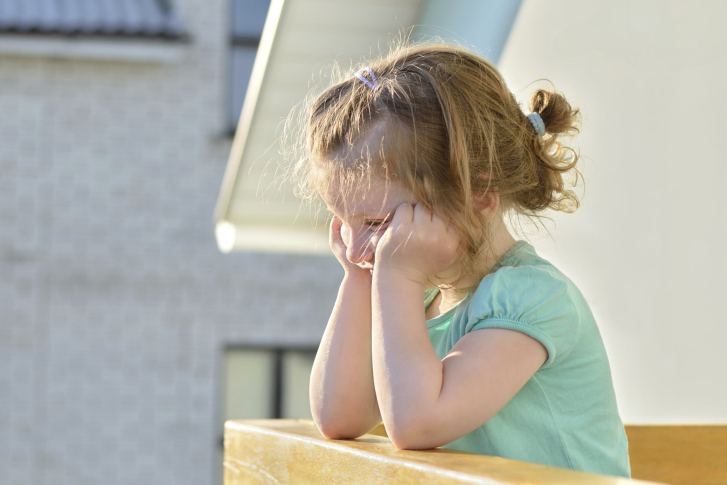 Sometimes a child’s grief is in the form of tears, but grief also manifests in other behavior patterns such as difficulty sleeping, eating or remaining attentive. As for marking milestones such as birthdays and holidays, the experts say it’s a good idea to celebrate and remember the deceased, but without the buildup. Canfield suggests making a memory book or writing notes; Berkowitz suggests asking the child what he or she wants to do to remember the loved one. Grief is a very real emotion for children, but it lessens over time. “Kids all have their own ways of dealing, just like adults do,” says Canfield, who says parents shouldn’t be surprised if questions about death or missing loved ones continue to pop up for a few years. However, if a child’s change in behavior persists, parents should seek outside help. If your family has lost someone dear, how did you help your child cope? Let us know in the comments section of this story, on Twitter or on the WTOP Facebook page.